Turkey is now the largest shopping center in your pocket! From electronics to clothing, hundreds of thousands of products you can buy now in your Android-powered devices. Hepsiburada.com while shopping through the mobile app (or typing with a barcode reader), and you can easily find price comparison, user reviews and shopping experience of our members can take advantage of. If you wish you can keep track of your orders using this application and you can contact our customer service representative. 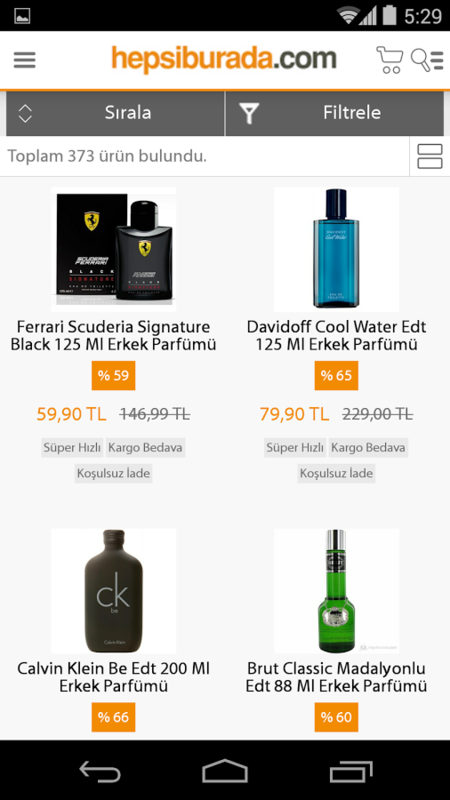 Turkey’s biggest shopping mall is now available on Android mobile devices! From electronics to clothing, can now hundreds of Thousands of products bought from Hepsiburada ba Android mobile application. You can compare prices, read reviews, search by typing or barcode scanner. Also by using the android application that you may track your orders will get in contact with our customer services.